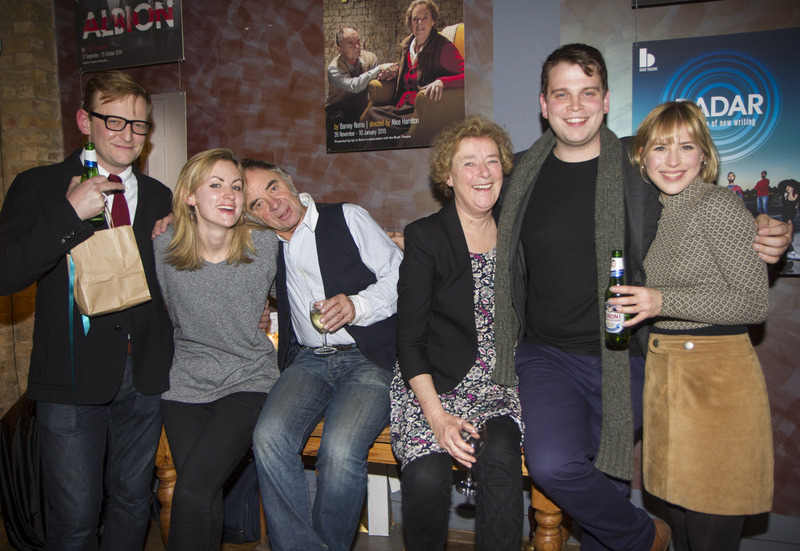 Visitors playwright Barney Norris on family, friends and the festive period. I have a funny relationship with Christmas, because ever since I left university, I’ve always been about to go into production on something at the moment that it descends balefully upon me, like the terrifying night monster in Fantasia, to smother all my plans in torpid gloom. 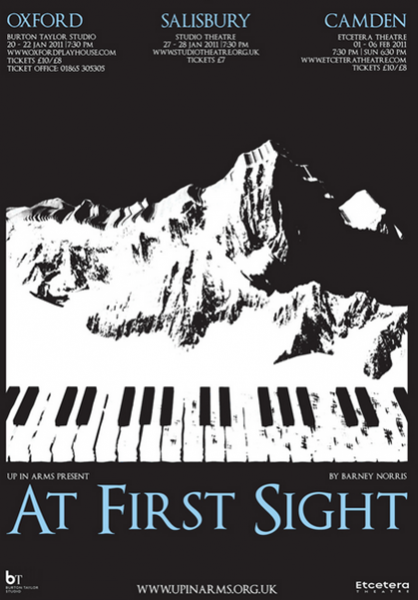 When Alice Hamilton and I put together Up In Arms’ first production, a tour of my short play At First Sight, we booked the theatres for the new year because it was a play set then. Ever since, it’s taken us about a year each time to make a new show, raise the money, book the theatres and get our work on a stage, so our annual production cycle has continued to be defined by the quixotic decision we made in 2010 to pin our opening night to a major public holiday when no one does anything. This means that Christmas is a time of debilitating stress and fear, when I’ve committed to thousands of pounds of bills coming my way, but everyone who could possibly help me pay them has gone out of office or a fortnight. So right through my twenties I’ve felt nothing but rage towards Jesus for being born, and the capitalist bonfire boys for stoking this age-long festival of kitsch and making it harder for me to do my job. But while this unfortunate coincidence of merrymaking with opening nights has undoubtedly contributed to the Austerian rings under my eyes, I’m also incredibly grateful for the decision we took to pin one to the other. Because as one of those who rejects the sickly, banana flavoured medicine of Christianity, and who (in casting about for any possible justification for all these extra Coca Cola adverts and specially repackaged, marked-up Christmas Carrots in the supermarkets) clings desperately to the vague idea that this time of the year is about ‘family’ and ‘being with the ones you love’. This is a poisonous idea, incidentally, that implies that the rest of the year isn’t about that – a problem of emphasis the church seems to struggle with wherever it turns. I know so many ex-Christians who walked away from the church because people they knew did all their do-gooding on Sunday morning and then acted like tossers the rest of the week. It seems to be a central part of the Christian calendar, caring as an occasional and cyclical chore, not an attitude. As I approach the end of the most extraordinary year of my life, and the most extraordinary production, I can’t help but slip slightly into retrospective mood. Up In Arms have always been lucky – all our shows have been picked up and given second run-outs, meaning we’ve always been able to achieve more than we set out to do, and we’ve always found appreciative audiences for our work. But the response to what we made this year, Visitors, has been extraordinary. As I write, we’ve been picked in Mark Lawson’s Theatre of the Year list in The Guardian and on British Theatre.com, who have also named Linda Bassett as Best Actress of 2014, and the Minister for Culture is tweeting about how much he likes our work. This, for a company who made their last show before this one for £7,000, is a quite astonishing development. There is so much that has been wonderful about this past year. We’ve worked in theatres we grew up dreaming of playing (not least the Bush, where so many of the company have assisted, painted walls, applied for jobs, watched plays, and longed to be involved for so many years). 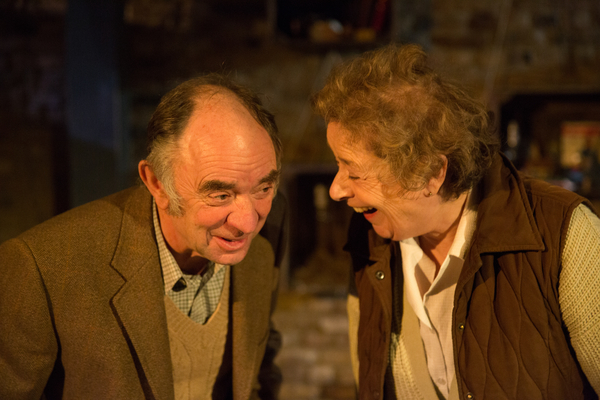 We’ve had the privilege of being around one of the world’s greatest actors, Linda Bassett, giving a performance that many are rating as being as good as anything she’s ever done, in a company of actors who have delivered, night in night out for 100 performances. We’ve won the respect of people we’ve hero worshipped all our lives. We’ve spent over £100,000 on a play, and haven’t had to declare ourselves bankrupt. We’ve entertained over 12,000 people – to put that in context, that’s nearly twice as many people as bought Martin Amis’s last book in the UK – an emphatic avocation for the value of this wonderful art form, theatre, as an effective way of reaching people, moving people, trying to change the way people look at the world. Of the art forms that really get into the subconscious, theatre is perhaps the most gloriously effective at reaching the world. As a company, we also feel this year we found our voice: we know now that what we want to do with our lives is give voice to what is extraordinary about the ordinary lives being lived around us, to go out into the hedgerows of these islands, find the stories no one else is telling and shout them from the rooftops. We’ve discovered that from our audiences, because that’s what’s mattered to them about our work, and we’re so excited to have a clear idea of the project we’re undertaking. But what matters to me above all else, looking back on this last year, is that I was able to be part of all this in the company of my best friends. That’s the thing about Up In Arms; we’ve never been a group of colleagues or collaborators, we hope everyone who has ever climbed aboard our ramshackle pirate ship has done so as an act of friendship. 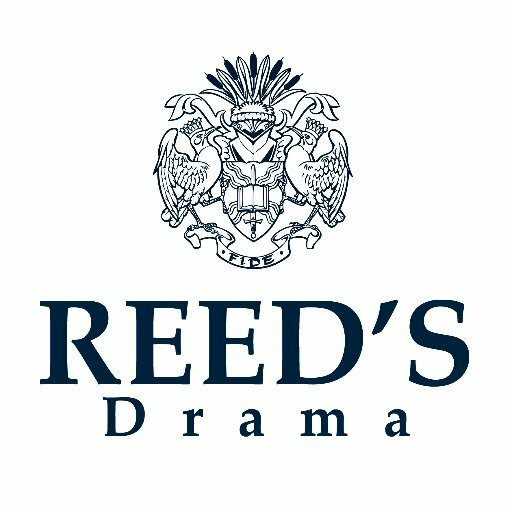 At its heart, this company is a group of friends who grew up together, and dreamed of making theatre, and set off together to chase that dream. It has perhaps taken us a bit longer to make a piece of work that really got public attention, because we’ve done it all ourselves, each step of the way, but the resultant satisfaction and sense of collective achievement, looking at what we’ve done and looking around at the people who did it, all the time learning together and growing up together, is astonishing; and it also makes it a joy to be in production over Christmas. Because if I want to be with my family, all I have to do is go to work. Visitors must end 10 January.